Update: La Casa Azul Bookstore opened in June 2012. Here’s a New York Times article about its opening. 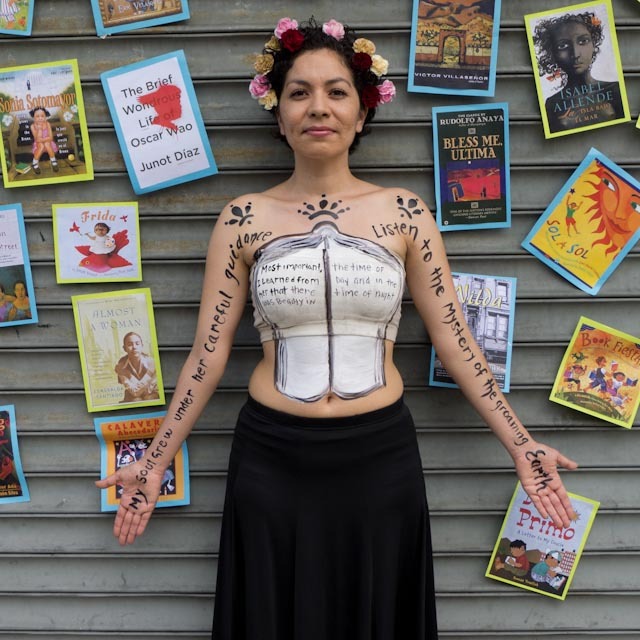 Aurora Anaya-Cerda (pictured above) wants to bring a Latino-oriented bookstore to East Harlem – and she’s asking you to help out. Anaya-Cerda has created the “40K in 40 days” campaign to raise money to build La Casa Azul Bookstore in the Hispanic neighborhood in New York City. If she raises $40,000 by Oct. 24, an anonymous donor will match the amount. So far, the campaign has raised $10,000 so far and attracted attention from the Shelf Awareness newsletter and the Huffiington Post. Donors can receive a wide array of incentives, from books to T-shirts. She knew it was important for Latinos to be exposed to their culture’s literature since she was young. Anaya-Cerda has been planning the bookstore for years. She has worked and volunteered in five bookstores, taken countless business classes, attended book-selling school twice, travelled the country meeting with booksellers and built relationships with publishers and authors nationwide. La Casa Azul has been running online for three years and has played host to author signings with Junot Díaz and Esmeralda Santiago. It has also established the annual East Harlem Children’s Book Festival. Once the bookstore opens next year, she plans to host book clubs, author signings and storytime for children, as well as serve as a community meeting space. The store will sell pastries, art, clothing and locally-made cards and gifts. It will also continue to work with area schools and nonprofits to advance literacy in the community. “La Casa Azul Bookstore aims to create a business that is much more than your average retail store by being the literature hub in East Harlem,” she said.